1.5 We do not include any advertising on our Platforms. 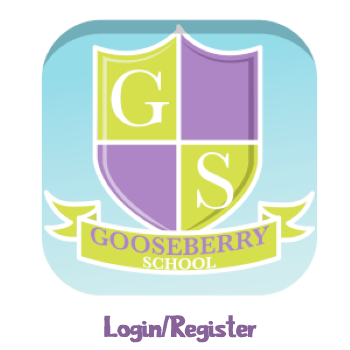 We only collect the name, username and year group of children using the Gooseberry Student App. Schools are welcome to use pseudonymisation to protect children’s personal data so long as they and the child’s parent/guardian remain able to identify the child appropriately. We recommend you use your account number followed by the pseudonymised name to ensure that all names and user names are unique. 1.7 Our website incorporates privacy controls which affect how we will process your personal data. By using the privacy controls, you can specify whether you would like to receive our Gooseberry Alerts, newsletters and direct marketing communications. 1.8 In this policy, “we”, “us” and “our” refer to Gooseberry Planet Limited. For more information about us, see Section 19. 2.2 We may process data about your use of our website and services (“Usage Data“). The Usage Data may include your IP address, non-specific geographical location, the type of device you use, your device’s unique device ID, browser type and version, operating system, referral source, length of visit, page views and website navigation paths, as well as information about the timing, frequency and pattern of your service use. The source of the Usage Data is our analytics tracking system. This Usage Data may be processed for the purposes of ensuring that our Platforms are presented in the most effective way for you and your device, analysing the use of our website and services so that we can improve the service we provide to you and to report progress to you as teachers and parents/legal guardians. The legal basis for this processing is our legitimate interests, namely providing, monitoring and improving our website and services. We do NOT collect precise information about the location of your device. 2.3 We may process your adult account data (“Adult Account Data“). The Adult Account Data may include your name, email address, phone number (these may be your school email and phone number) and confirmation that you are over 18. The source of the Adult Account Data is you or your school or other organisation. The Adult Account Data may be processed for the purposes of operating our website, providing our services, ensuring the security of our website and services, maintaining back-ups of our databases and communicating with you. The legal basis for this processing is the performance of a contract between you or your school and us and/or taking steps, at your or your school’s request, to enter into such a contract. 2.5 We may process information contained in any enquiry you submit to us regarding goods and/or services (“Enquiry Data“). The Enquiry Data may be processed for the purposes of responding to your enquiry including explaining, demonstrating, assisting, offering, marketing selling, setting up, maintaining or terminating relevant goods and/or services to you. The legal basis for this processing is consent or the performance of a contract between you and us and/or taking steps, at your request, to enter into such a contract. 2.6 We may process information relating to transactions, including purchases of goods and services, that you enter into with us and/or through our website or by cheque (“Transaction Data“). The Transaction Data may include your contact details, your bank account details, and the transaction details including product, number of licences, amount, time and date. Because all of our card payments are processed via PayPal or our website (Stripe), details of your card are encrypted and we do not see them. The Transaction Data may be processed for the purpose of supplying the purchased goods and services and keeping proper records of those transactions. The legal basis for this processing is the performance of a contract between you and us and/or taking steps, at your request, to enter into such a contract and our legitimate interests, namely our interest in the proper administration of our website and business. 2.7 We may process information that you provide to us for the purpose of subscribing to our email notifications and/or newsletters (“Notification Data“). The Notification Data may be processed for the purposes of sending you the relevant notifications and/or newsletters. The legal basis for this processing is consent. You may unsubscribe from our notifications or newsletters at any time by clicking on the “unsubscribe” feature at the bottom of such notifications. 2.8 We may process information contained in or relating to any communication that you send to us (“Correspondence Data“). The Correspondence Data may include the communication content and metadata associated with the communication. Our website will generate the metadata associated with communications made using the website contact forms. The correspondence data may be processed for the purposes of communicating with you, providing user support and record-keeping. The legal basis for this processing is our legitimate interests, namely the proper administration of our website and business and communications with users. 3.1 We will use your personal data for the purposes of automated decision-making in relation to your job title within your school or organization. 3.2 This automated decision-making will involve identifying the appropriate person within an organization to contact regarding our goods or services. 3.3 The significance and possible consequences of this automated decision-making are that we make contact with you. 4.2 Our Safeguarding CPD has been developed by us in conjunction with Bob’s Business Limited using a platform provided by LearnUpon Limited. When registering to use the CPD the name and email address of licencees and users will be disclosed to these third parties only so far as is reasonably necessary for the purpose of enabling the use of the CPD and the dissemination to licencees and users of their progress and results in accordance with the terms of their licence. Their websites and privacy policies are available at bobsbusiness.co.uk, and learnupon.com, www.learnupon.com/privacy-policy. 4.3 Financial transactions relating to our website and services may be handled by our payment services providers, Paypal or Stripe. We will share transaction data with our payment services providers only to the extent necessary for the purposes of processing your payments, refunding such payments and dealing with complaints and queries relating to such payments and refunds. You can find information about the payment services providers’ privacy policies and practices at https://www.paypal.com/ee/webapps/mpp/ua/privacy-full or https://stripe.com/gb/privacy. 5.1 The hosting facilities for our website are based in the UK. Subject to clause 5.2, we do not transfer your personal data to countries outside the European Economic Area (EEA) but you acknowledge that no security system can prevent all potential security breaches. (a) Usage Data will be retained for a minimum period of one year following receipt, and for a maximum period of six years following receipt. (b) Adult Account Data will be retained for a maximum period of two years after ceasing to be registered to use the Platform. (c) Children’s Account Data will be retained for a maximum period of twelve months after ceasing to be registered to use the Platform. (d) Enquiry Data will be retained for a maximum period of six years after receipt of enquiry. (e) Transaction Data will be retained for a maximum period of six years post transaction date. (f) Notification Data will be retained for a maximum period of two years after unsubscribing. (g) Correspondence Data will be retained for a maximum period of six years following date of receipt. 7.3 The following personal data will be stored by us or our payment services providers in encrypted form: password(s) and cardholder data. 9.3 You have the right to confirmation as to whether or not we process your personal data and, where we do, access to the personal data, together with certain additional information. That additional information includes details of the purposes of the processing, the categories of personal data concerned and the recipients of the personal data. Providing the rights and freedoms of others are not affected, we will supply to you a copy of your personal data. The first copy will be provided free of charge, but additional copies may be subject to a reasonable fee.9.4. You have the right to have any inaccurate personal data about you rectified and, taking into account the purposes of the processing, to have any incomplete personal data about you completed. 9.12 You may exercise any of your rights in relation to your personal data [by written notice to us at email address, in addition to the other methods specified in this Section 9. 11.1 Our website is targeted at schools with a view to the protection and education of children. The consent of a child’s parent/legal guardian is required before their data is registered on our Platforms. 11.2 If we have reason to believe that we hold personal data of a child without the consent of their parent/legal guardian in our databases, we will delete that personal data. 13.1 In respect of Account Data entered on our systems by some of our re-sellers, we may act as a data processor rather than as data controller. 18.1 This website is owned and operated by Gooseberry Planet Limited. 18.2 We are registered in England and Wales under registration number 08693988, and our registered office is at 7 Nelson Street, Southend-on-Sea, Essex, England, SS1 1EH. 18.3 Our principal place of business is at 2 Station Road, Hook, Hampshire RG27 9HD. 19.1 We are registered with the UK Information Commissioner’s Office. 19.2 Our data protection registration number is ZA194101. If you have any questions regarding privacy while using a Platform, or have questions about our practices, please contact us via email at privacy@gooseberryplanet.com or phone on +44 (0)1865 366 468 or by post to Gooseberry Planet Ltd, No 2 Station Road, Hook, Hampshire, RG27 9HD. We have notified the Information Commissioner’s Office about our data processing activities under notification number ZA194101.